Few things are more frustrating than wanting to deposit a check, make a withdrawal or make a same-day online bill payment and then finding out that the bank is closed for a holiday. * In 2017, some banks will observe January 20, Inauguration Day, as an eleventh bank holiday for the year. Inauguration Day, a holiday every four years designated by Congress, is generally only recognized as a holiday by government employees and certain businesses in Washington, D.C. and its border counties in Virginia and Maryland. By designating the day as a holiday, congestion is eased for the swearing-in of a new president and vice-president. Why do banks observe these holidays? Federal Reserve Bank holidays mirror the schedule of federal holidays enacted by Congress. Generally, these holidays are days when various sectors of the U.S. population celebrate history, religion, and culture. While they apply to the Federal Reserve Bank, there are no federally mandated holidays for the private banking sector. Some states require banks and other businesses to be closed on certain holidays. Which banks observe these holidays? All national and regional banks are closed on these federal bank holidays. This holds true for all the major financial service corporations, investment banks, and lenders, including Capital One, PNC, Wells Fargo, Bank of America, CitiBank, Chase, and Barclays. What banking can I still do on a bank holiday? 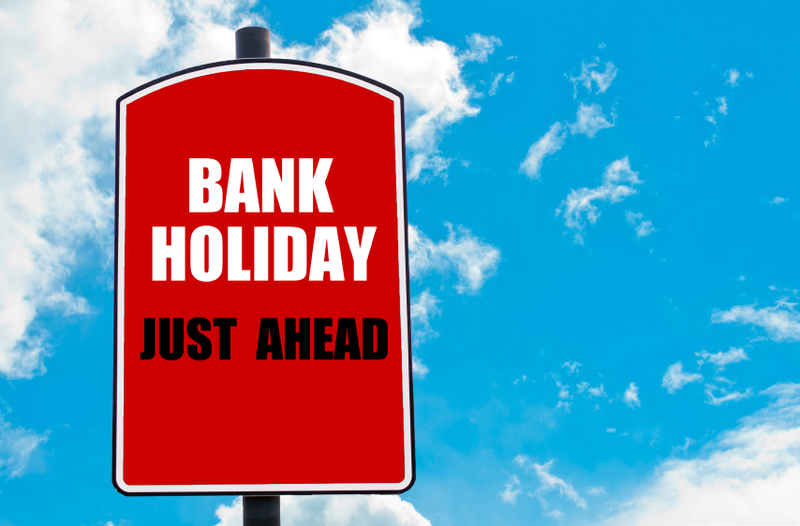 On bank holidays when the banks are closed, you will not be able to deposit or withdraw funds by visiting a teller at the branch. This means you will also not be able to buy a cashier’s check or money order or take a credit card advance through the teller. You will also usually not be able to talk to a live phone banker or pay bills with the same effective date as the holiday. The good news is that, even if a bank is officially closed for a holiday, you should still be able to access information including your balance and recent transactions online through your bank’s website. Most banks now also offer mobile applications, so if you have downloaded and installed the bank’s app on your smartphone or tablet, you can do these same things on the go. If your current bank does not offer online or mobile banking, it might be a good idea to open a new savings account with a bank that does. While you cannot visit a teller or phone banker, you should still be able to access funds or deposit checks through ATMs, deposit checks through mobile devices, schedule bill payments and access things like statements and copies of checks through your bank’s website or app. So, while bank holidays mean the bankers and tellers are not working, it may not mean much to the way you manage your account. Whenever you can, try to plan ahead so that any business you need to conduct with your bank takes bank holidays into account. That way, you can sit back, relax and enjoy the holiday along with your local bankers.